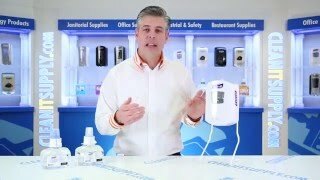 This compact hand sanitizer dispenser is ideal for use in tight spaces. Purell LTX-7 Dispenser provides hands-free dispensing, helping to prevent germ spread and cross contamination. Equipped with Gojo Smart Electronics technology to minimize energy use per actuation, eliminating need to change batteries over the life of the system. This electronic dispenser controls the portion dispensed to help reduce waste. 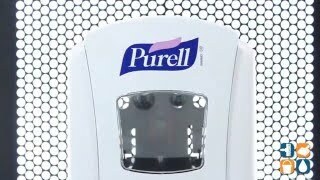 The Purell automatic hand sanitizer dispenser also features a large sight window, skylight and clear refill bottles that make it easy to check fill status. The LTX-7 Touchless Dispenser can be mounted with screws or adhesive. 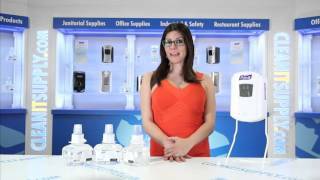 This hand sanitizer wall dispenser is fully ADA compliant, comes with a Lifetime Performance Guarantee and includes 3 "C" batteries.